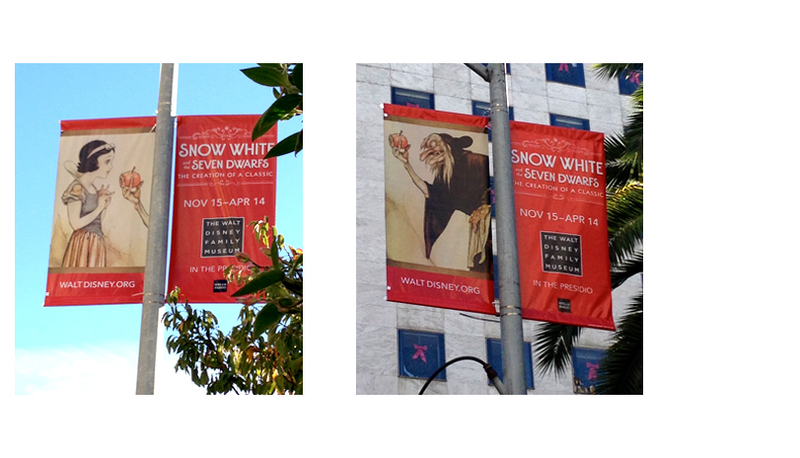 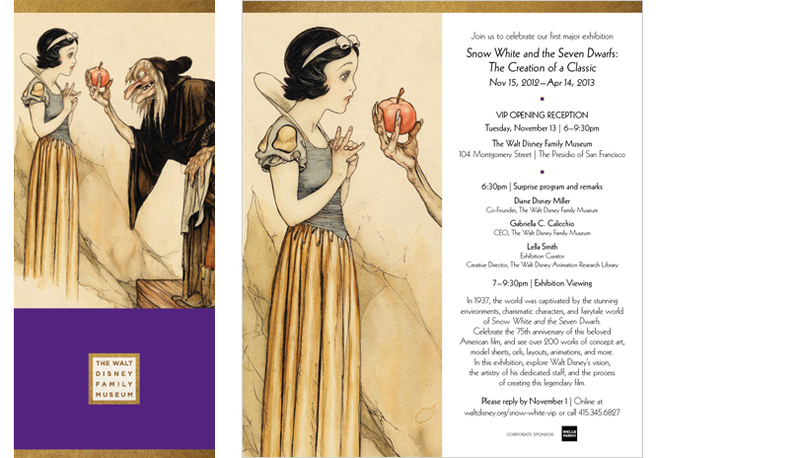 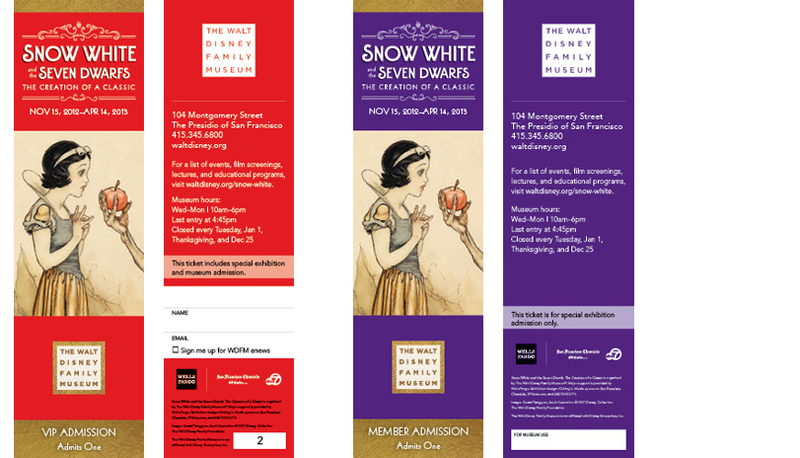 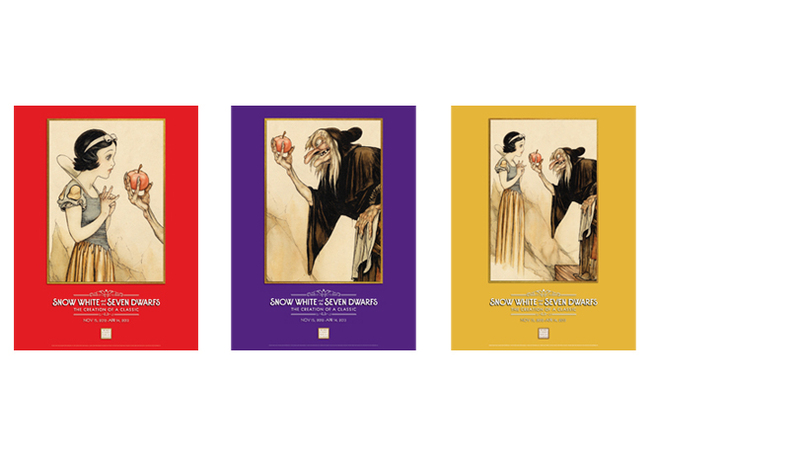 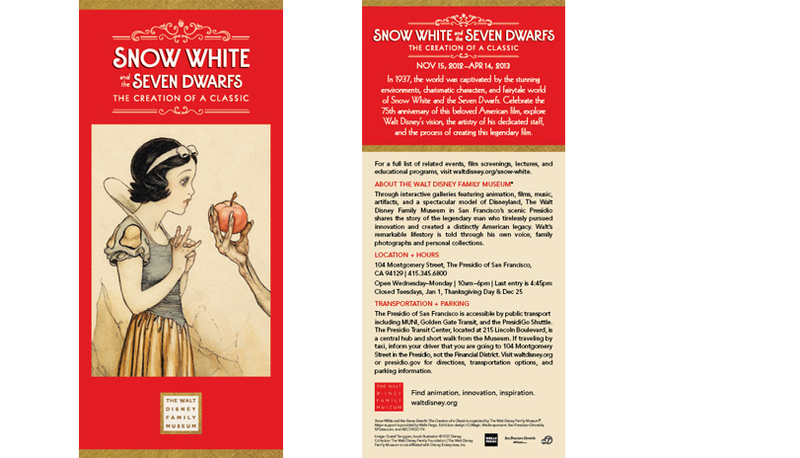 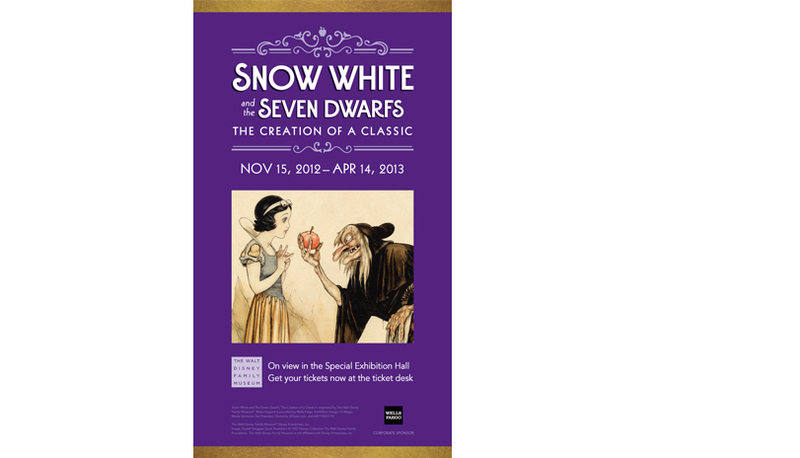 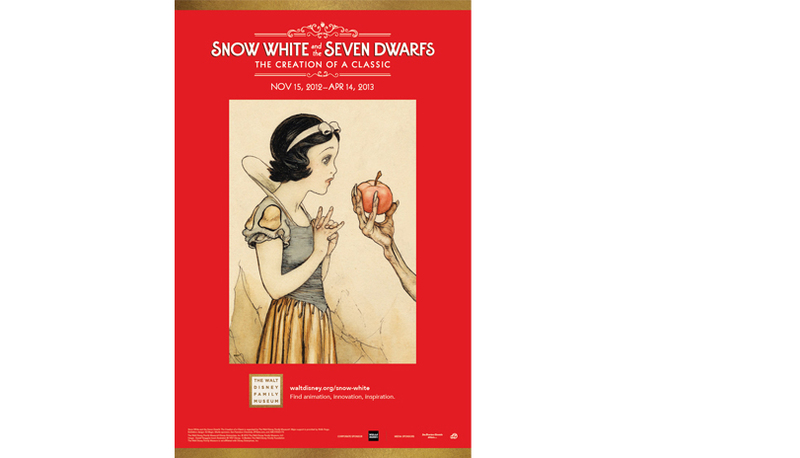 Snow White and the Seven Dwarfs: The Creation of a Classic was an exhibition featuring art from the classic Disney film. 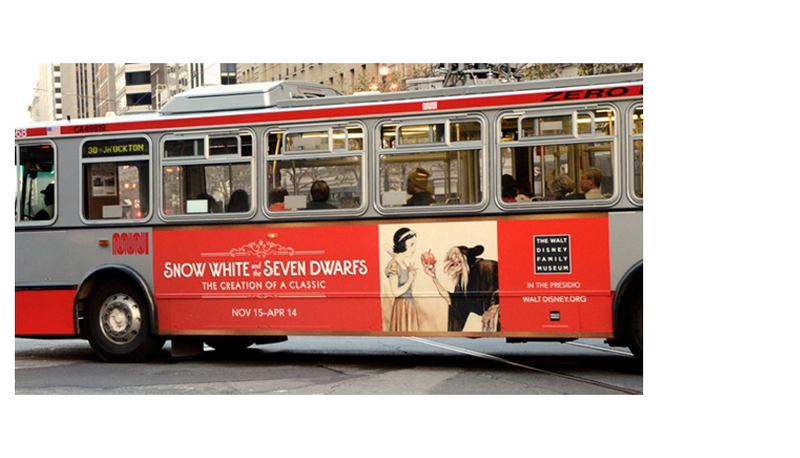 The concept behind the logo was to create a type solution that was more modern yet evoked the feel of the 1937 film. 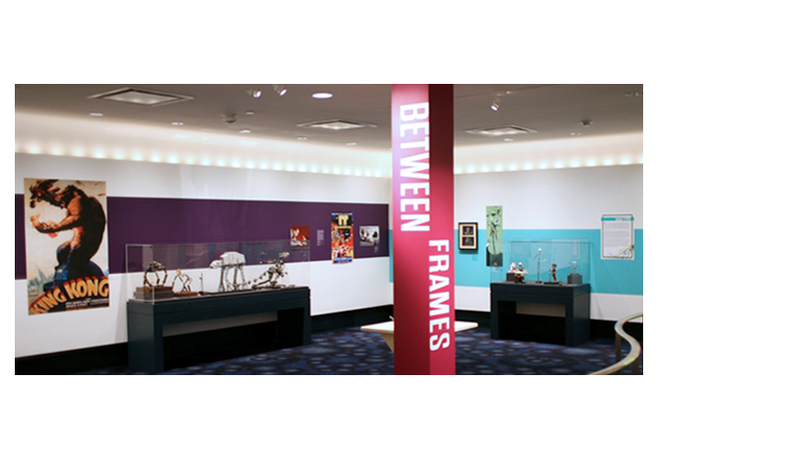 The exhibition curator originally chose the font Hamptons, but due to it’s illegibility, the font was used as reference for a redrawn logotype. 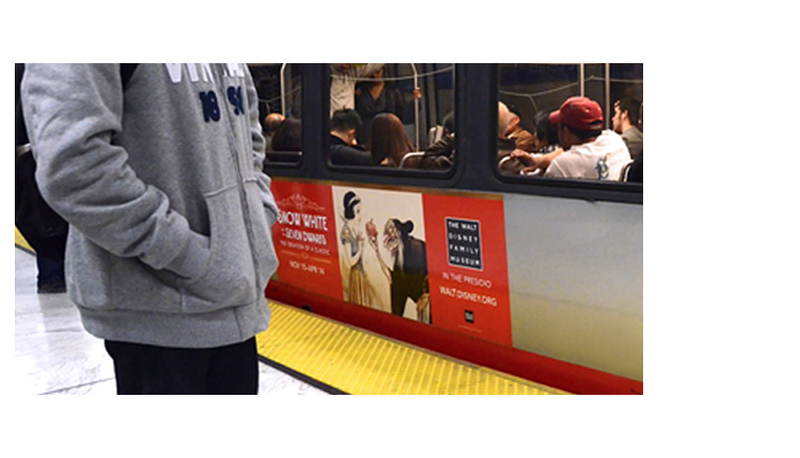 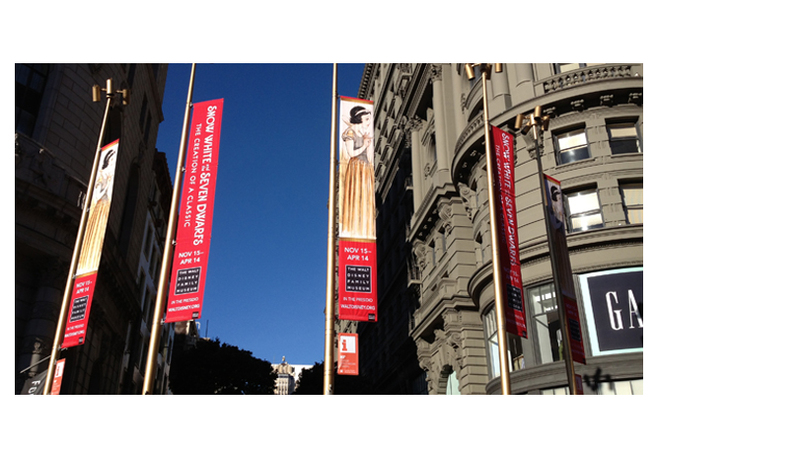 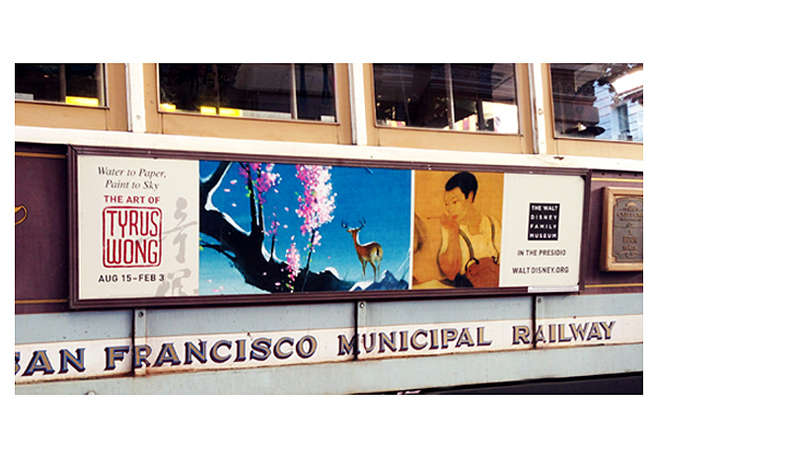 Collateral included a large-scale signage and banner campaign thoughout San Francisco, ads, rack cards, web advertising, member magazines, tickets, invitations, posters, onsite signage and merchandising. 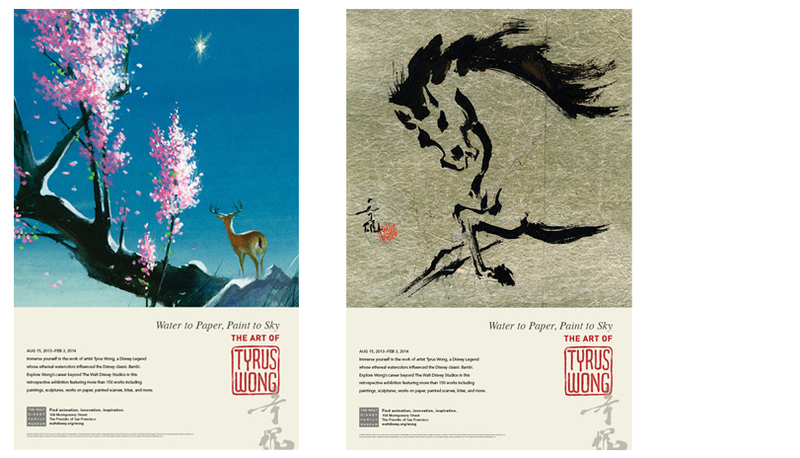 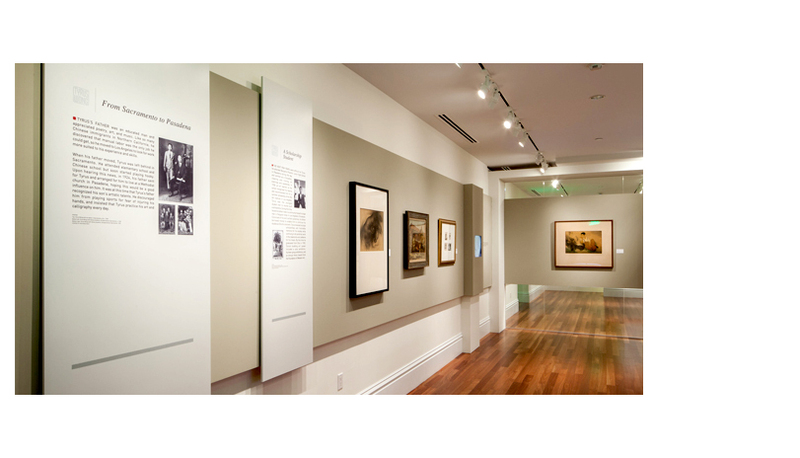 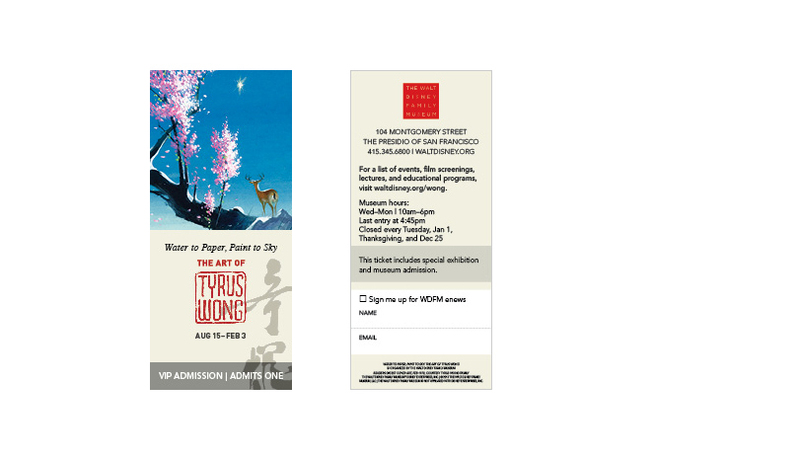 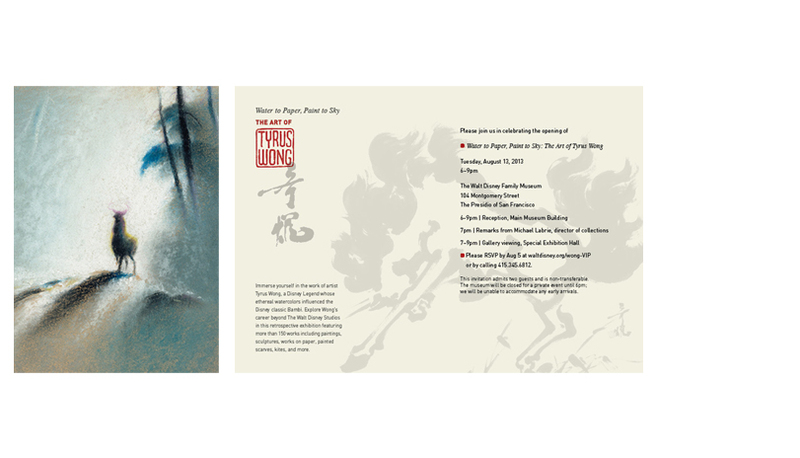 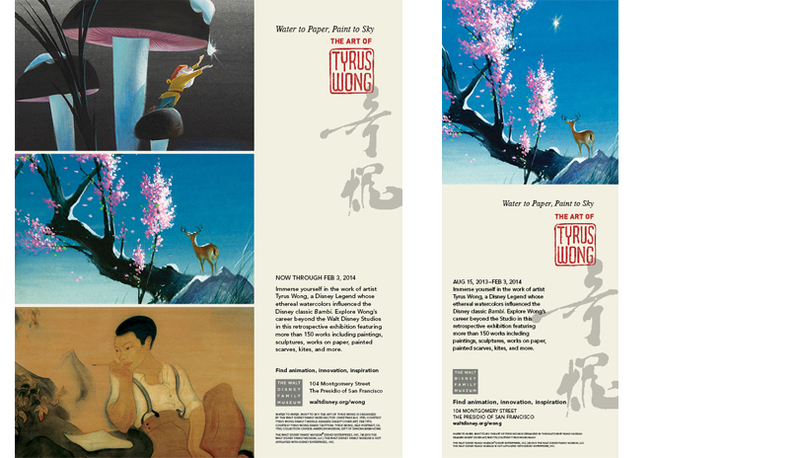 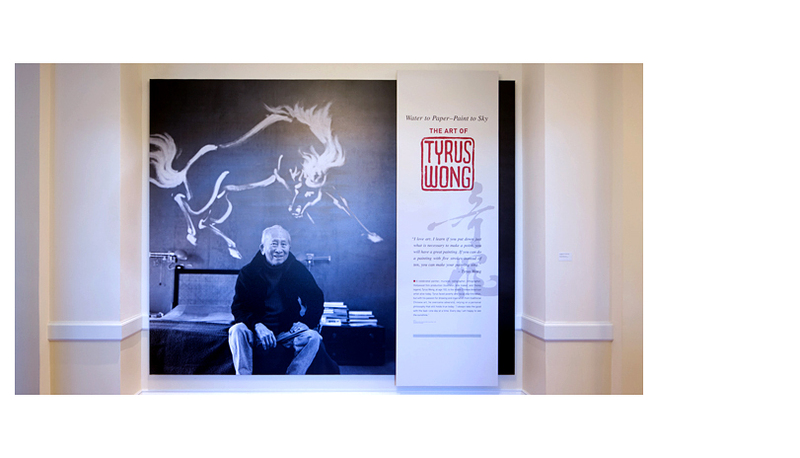 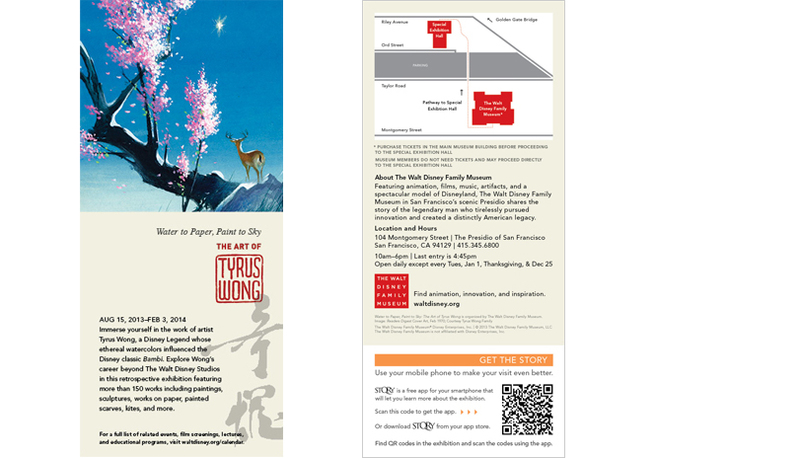 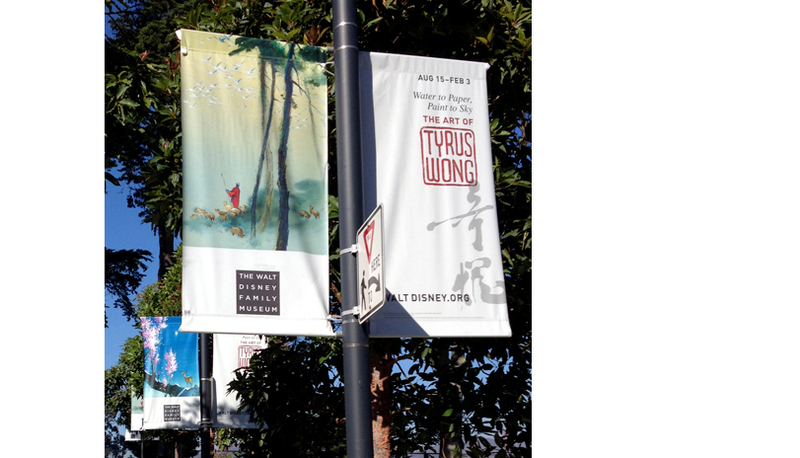 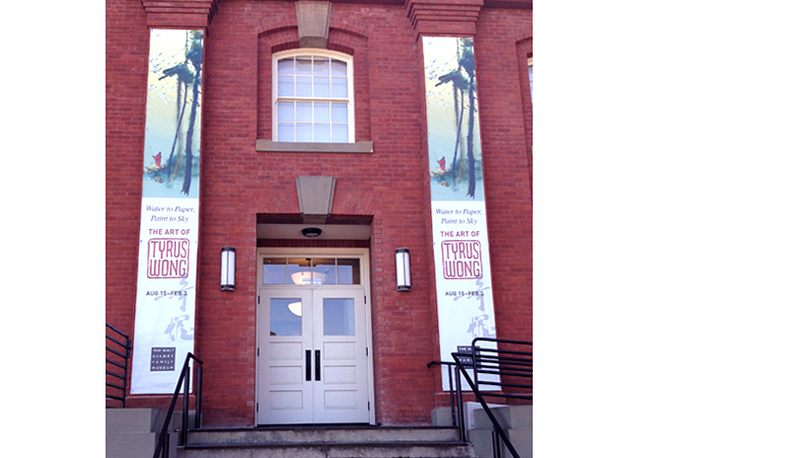 Water to Paper, Paint to Sky: The Art of Tyrus Wong was a retrospective exhibition of the Disney Legend who influenced the look of Bambi. 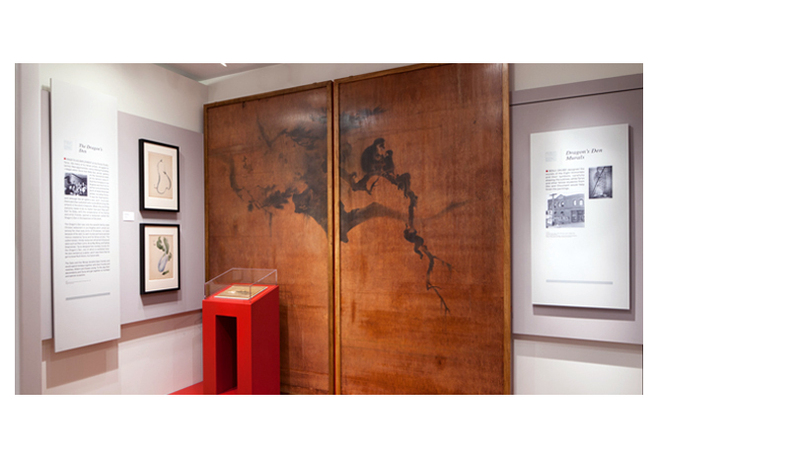 The logo was created by redrawing Wong's chinese “chop” signature and combining it with his chinese calligraphic signature which appear on much of his work. 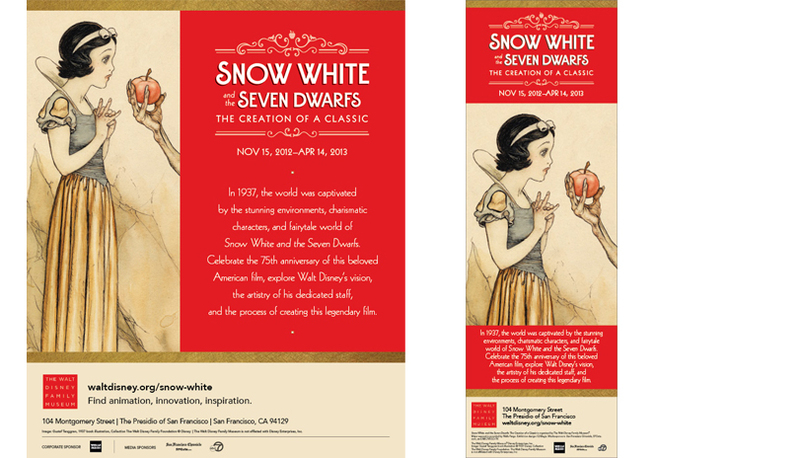 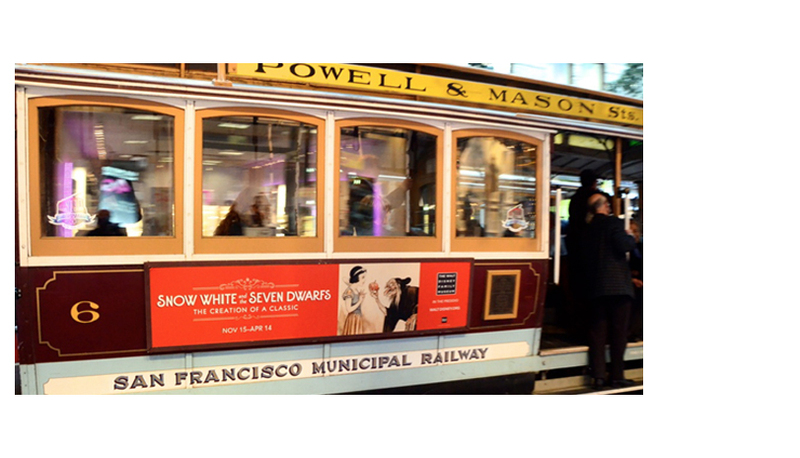 Collateral design included a large-scale signage and banner campaign though out San Francisco, exhibition graphics, ads, rack cards, web advertising, member magazines, tickets, invitations, posters, and onsite signage. 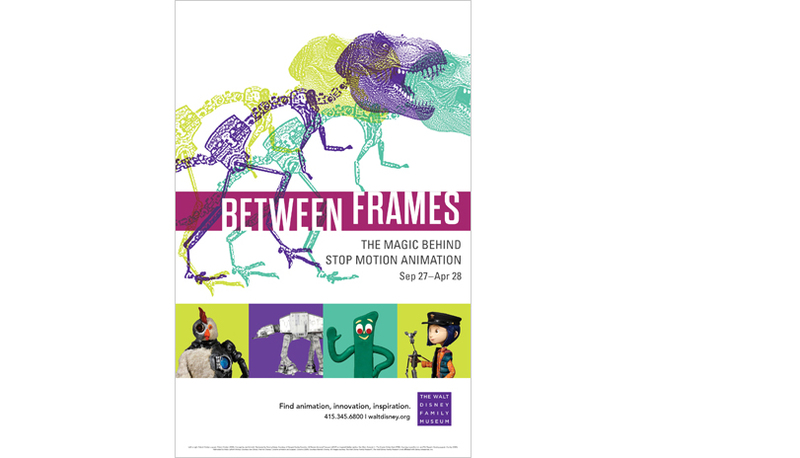 Between Frames: The Magic Behind Sop Motion Animation was an exhibition that featured art, armatures and models from American stop motion films and cartoons which included Star Wars, Gumby, Jurassic Park and The Nightmare Before Christmas. 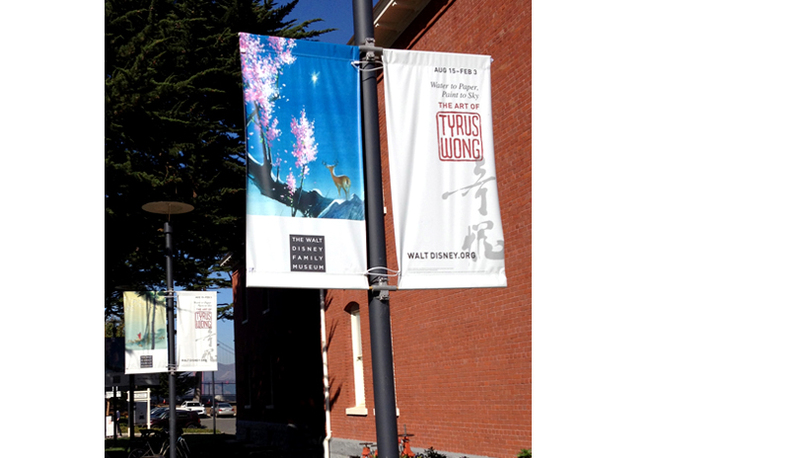 The concept behind the logo was to demonstrate how armatures are used to create the illusion of motion. 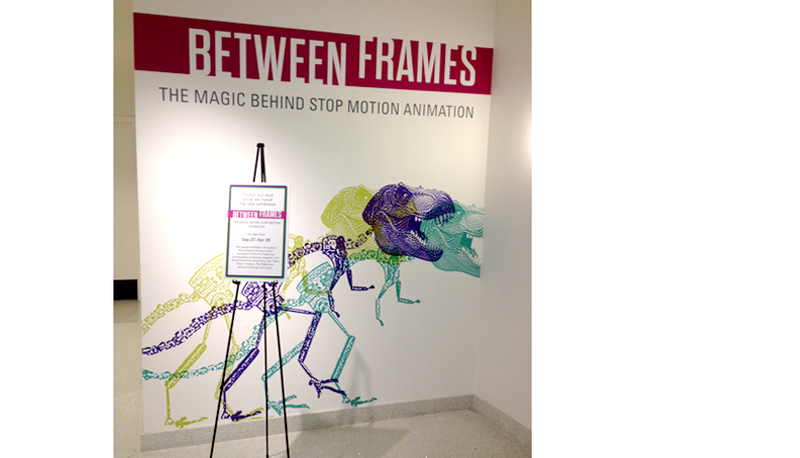 A dinosaur head was combined with a stylized armature and repeated to emulate the process of stop motion. 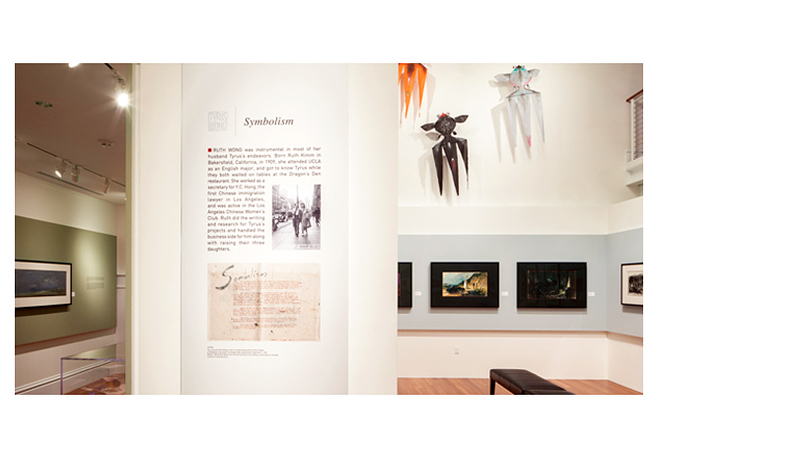 Collateral included exhibition graphics, postcards, member magazines, invitations, posters, and onsite signage.